Since being an IP, I’ve had multiple operational and staff tours, to include XO of USS Coronado, serving as N6 and Information Warfare Command on Expeditionary and Carrier Strike Group Staffs, and as the N6 on a Numbered Fleet staff. Staff tours have included time on the OPNAV and SURFACE FORCES staffs. I’ve been very fortunate and blessed to have had multiple command tours including NAVCOMTELSTA San Diego, Navy Information Operations Command Texas, and now just recently, my assignment here at the Naval Information Warfighting Development Center. SD: Let’s kick off by introducing our readers to your new command. Initial operating capability for the NIWDC was declared on 27 March 2017. Could you please explain the role of this warfighting development center, and specifically the mission of the NIWDC within the information domain? JW: Like the other warfighting development centers (WDC), we are all focused on four primary lines of operation. First, we’re concerned with enhancing advanced level training. As you can imagine, in terms of NIWDC, that entails all of our information-related capabilities. The advanced level training for our units and forces in the fleet occurs at the latter stages of the optimized fleet response plan (OFRP). We’re heavily invested in that along with our fellow WDCs. 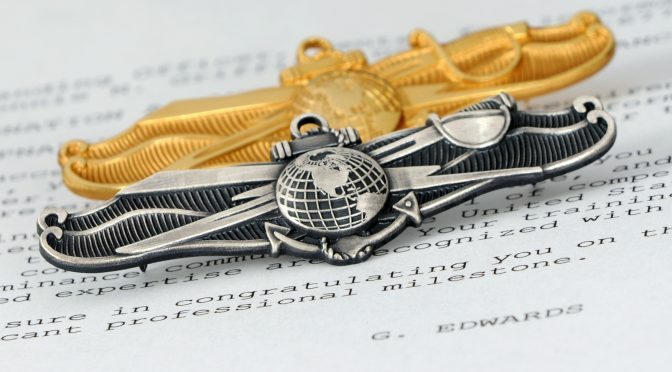 The second line of operation is the development of doctrine that allows us to achieve that advanced level of proficiency – doctrine including tactics, techniques, and procedures (TTPs), standard operating procedures (SOPs), higher level Concepts of Operation (CONOPS), or as necessary, revisions to Naval Warfare publications. The third line of operation is to cultivate and develop a subject matter expertise known throughout all the WDCs as a ‘warfare tactics instructor’ or WTIs. Other WDCs have WTIs in place today, for example, the model that has been around longest is the Naval Aviation WDC, “Top Gun,” associated with advanced tactics for jet fighting, air-to-air combat, etc. What we want to do here at NIWDC is to build out our own WTI pipeline, which I think of as the “Information Warfare Jedi Knights” of the future; we’ll have quite a few WTI pipelines, as we have a broad spectrum of capabilities. Last but not least, we’ll have an organic assessments capability built into the command which allows us to, in an OODA loop fashion, assess our advanced level training capabilities, our TTPs and SSPs, and our doctrine as we bake it into our training pipeline and processes, ensuring it is delivering optimal IW warfighting effects. Those are the four lines of operation that were promulgated to the WDCs, directed by the Chief of Naval Operations, in 2014. SD: The traditional warfare Type Commanders (Air, Surface, Undersea) have established their own warfare development centers, as you mentioned. Given that IW is a critical enabler of other warfare areas, how do you envision the NIWDC interacting with the other warfare development centers? What key IW concepts and understandings should be incorporated by other communities? JW: That’s a fantastic question. NIWDC just achieved IOC designation in late March, and the good news is that while we are the last WDC to be stood up, we already have IW community professionals, both enlisted and officer, arrayed across the other WDCs today, totaling about 150 people, who are working Information Warfare expertise into Naval warfighting. Even as we’re building up to this capability, our folks that have been embedded throughout the other WDCs have done a remarkable job laying the groundwork and foundation for us to come to fruition as the NIWDC. This is significant because the information-related capabilities that we bring to bear are so ingrained in all the other mission warfare areas of the Navy that we have to be interlinked with the other WDCs and visa-versa. As we build up our capabilities here, we’d like to see the reciprocal detailing back and forth – where ideally we’ll have Surface Warfare Officers, Submariners, Aviators, etc., embedded and billeted to the NIWDC. That’s the future, and it’s absolutely imperative that we get to that point – to have that common back and forth day in and day out as we’re contemplating modern day warfare – it’s essential for us to understand the other warfare areas, their requirements, how our systems are interdependent, and how we have to operate in real time to optimize our overarching warfare capabilities. SD: You recently stated, “a key objective of the NIWDC is to provide hard-hitting, fleet-relevant information warfighting effects…” Can you outline what some of those effects might be and what specific mission areas within Information Warfare (IW) they support? Those Mission Area Directorates include an Assured command-and-control and CyberSpace Operations MAD, a Space Operations MAD, a Meteorology MAD, an Intelligence MAD, a Cryptology MAD, an Electronic Warfare MAD, and an Information Operations MAD. Laying that all out, we can generate information warfare effects from any of those Mission Areas—but when combined, it becomes extremely optimal. It’s the traditional ‘sum of the parts’ principle. As we develop our organization here, another big effort we’re putting into play in the larger Navy is the Information Warfare Commander construct, which is an organization led by a fully board-screened senior Information Warfare Community Captain (O-6). I’ll describe the construct at the tactical level for now because I think it will be the best way to articulate where we’re headed in employing our model. On a Carrier Strike Group (CSG) staff, for example, we have the Information Warfare Commander (IWC)—again, that board-screened IW Community Captain, who is providing leadership and oversight on core IW mission areas run by the N2 Intelligence Officer, the N39 Cryptologic Officer, the N6 Communications officer, and to the extent where we can get it into play, the Meteorological officer, who at the end of the day, all work for this O-6 IWC. The entire IWC organization works for the Carrier Strike Commander similar to a Destroyer Squadron or Carrier Air Group Commander. Where the synergistic effect really comes in is in information operations planning. If you think across typical phased wartime planning scenarios, the folks that are sitting down at the table in the IWC organization bringing their skills and attributes to the team while enabling holistic planning across all phases of warfare, achieve tremendous synergy and total awareness of the interdependencies and linkages across their mission areas. This powerful effect cannot be overemphasized. Planning in individual stovepipes, i.e. within traditional N Head silos like the N2, the N39, N6 or Meteorology, is counterproductive in today’s modern warfare continuum. It’s essential that planning along these lines factors in and accounts for the coordination and integration of needs and requirements of our fellow Composite Warfare Commanders. When done correctly, we give our collective Navy team every advantage possible to win when we need to. Suffice it to say, I’m very excited about where we’re headed and how we’re going to make our phenomenal Naval warfighting prowess even better! SD: There seems to be growing agreement that in future conflict, naval forces will not enjoy undisputed access to the electromagnetic spectrum. 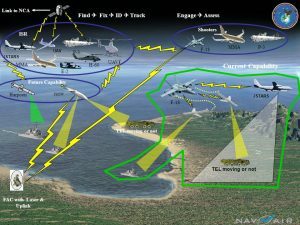 How will naval information warfare capabilities enable distributed operations when the spectrum required for C4ISR is being, denied, degraded, disrupted and subject to deception operations? JW: That’s another great question that we are constantly focused on. We all acknowledge the fact that in modern warfare scenarios, the likelihood that we will have denied or degraded communications is a given. Frankly, it’s almost no longer an assumption—it’s reality. Simply put, we need to be able to retain organic capabilities as much as possible wherever we are, so that if we lose the link back to the beach, we can still function and fight. To that end, we’ve got to be able to train, operate, and be proficient in fighting in those types of scenarios. We’re all about getting at that advanced level of necessary training here at the NIWDC. SD: How do you propose addressing the acquisition and fielding of new information technology (cyber/EW/IW) and developing TTPs under the current DOD acquisition system? JW: Acquisition is an evolving process, and I think acquisition reform surfaces quite frequently anytime we talk about the dynamics of advancing IT. The rate of advancement in technology is astounding, and the acquisition process needs to be agile enough to keep pace. To that end, we’ve looked for creative and innovative ways within our acquisition process to accelerate and expedite systems that facilitate IW warfighting effects and we need to continue doing so. NIWDC participates in many experimentation and innovation venues that help facilitate that speed-to-fleet dynamic and we’re excited to be a partner in those efforts. To your question about the TTPs and SOPs – when we introduce new tech to the fleet, it is important that we have TTPs and SOPs built into them from day one. We’ve got to be able to deliver a product that comes with robust training behind it so that when it’s delivered to the fleet, our sailors can put it into immediate effect. The TTPs and SOPs that accompany that capability need to be solid enough out of the gate so that we achieve immediate success from day one of fielding. On top of that, what I want to achieve at the NIWDC is the ability to refine and tweak TTPs and SOPs at a high rate – what I call the “wash, rinse, repeat” approach. There’s no reason we can’t take those TTPs and SOPs, have sailors put them into effect, provide their feedback to us if they’re not quite right and suggest course corrections, then update those on a continuous, OODA-loop basis until we have delivered optimal doctrine. SD: Our adversaries approach the information space (IW/EW/cyber) holistically, blending electronic and information warfare with cyberspace operations, psychological operations, deception – and conduct these operations across all elements of national power (diplomatic, economic, legal, military, information). 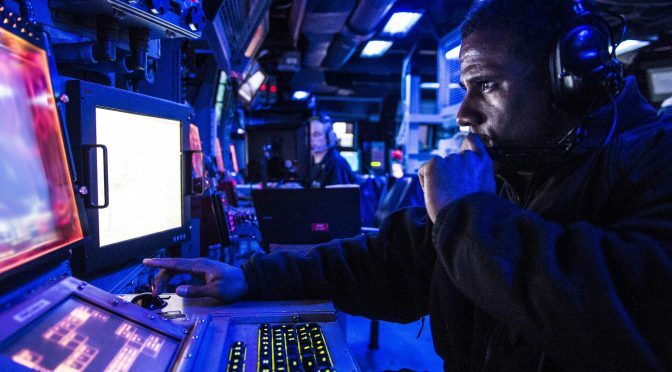 What steps are you taking to ensure the Navy is developing information warfare strategies, operational concepts, and TTPs that cut across all elements of national power? JW: I’ll give you an example – that’s the best way I can answer this question – it’s a great question, but one you could spend an hour answering. Earlier in our discussion, we talked about the IWC construct. I’m a firm believer that if we get that instituted correctly and make it a robust organization with the goal of delivering those optimal IW effects that it will serve as the bedrock going forward across the Navy enterprise. We’ll look to institute that construct, as applicable, by using that optimized model at the tactical level and building out from there to implement at the operational and strategic levels. Back to the point about our adversaries – when they’re exploiting all this goodness and delivering their effects, they are planning across the DOTMPLF (doctrine, organization, training, materiel, leadership and education, personnel and facilities) spectrum. We must do the same thing with our IWC Construct. At the NIWDC, in partnership with IFOR, this is one of our tasks – to perform this DOTMPLF analysis that will codify the IWC construct. We’ve been tasked by Fleet Forces Command and PACFLT to do just that – this will be one of our top objectives in the first years here at the NIWDC – to ensure we’re setting ourselves up for success for decades to come. SD: Last but not least – if our listeners are new to information warfare, can you suggest any resources or reading materials that could help the less tech-inclined among us become more familiar with the domain and more ready to address its unique challenges? JW: There are so many great reference materials, but perhaps the quickest way to answer that is to recommend your readers and listeners go to our command website and InfoDOMAIN, or our Navy News Web page or Facebook page. We have a lot of good products posted there – that would be a great start. We have some items posted there that are specific to the NIWDC, so if your readers want more information or a summary, they can find it there as well. SD: Thank you so much for your time today, CAPT Watkins. It’s truly been an honor speaking with you, and we thank you for taking time out of your busy schedule to help educate us on your new command and the role of IW in the Navy and DoD going forward. We hope you’ll join us again sometime. Captain John Watkins is a native of California, where he went on to graduate from the NROTC program at the University of San Diego obtaining his commission in 1991. He joined the Naval Information Warfighting Development Center as the commanding officer in March of 2017. Sally DeBoer is an Associate Editor with CIMSEC, and previously served as CIMSEC’s president from 2016-2017. 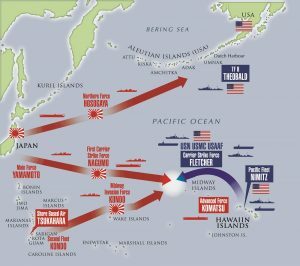 Earlier this year, Admiral John Richardson, the U.S. Chief of Naval Operations, released his Design for Maintaining Maritime Superiority, articulating a vision for how the Navy intends to both deter conflict and conduct “decisive combat operations to defeat any enemy.” Some of the factors it identifies as making the maritime system “more heavily used, more stressed, and more contested than ever before” include expanded trade, the impact of climate change opening sea lanes in the Arctic, increased undersea exploitation of the seabed, and illicit trafficking. As U.S. Navy operations afloat take place within a more contested maritime system, the need for better “Battlespace Awareness,” one of the three “Fundamental Capabilities” identified in the Navy Strategy for Achieving Information Dominance, is clear. Battlespace Awareness requires a deep and substantive understanding of the maritime system as a whole, including tasks such as the “persistent surveillance of the maritime and information battlespace,” “an understanding of when, where, and how our adversaries operate,” and comprehension of the civil maritime environment. The U.S. Navy operates across a spectrum ranging from simple presence operations, maritime security, strike warfare ashore in support of land forces, to potential high-end conflict at sea and even strategic nuclear strike from ballistic missile submarines. 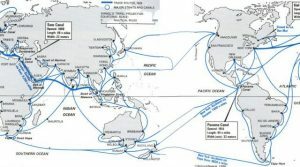 These operations do not occur in a vacuum, but in a highly complex and dynamic international environment that continues to require real expertise, particularly in its uniquely maritime aspects. 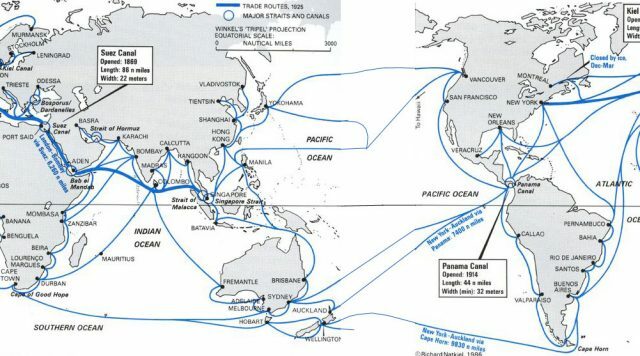 The Design portrays a world in which rapid technological change and broadened access to computing power have narrowed the distance between the U.S. Navy and potential competitors. Wealthy states no longer have a built-in military advantage simply by having access to immense sums of money to invest in military platforms and weapons, including communications and information technology. In addition to an explosion of social media across the planet that provides readily exploitable data for analysis, the maritime environment has its own unique indicators and observables. One example of the ways publicly or commercially available data can be used to develop operationally relevant understanding of maritime phenomena was a 2013 study by C4DS that detailed how Russia has used commercial maritime entities to supply the Syrian government with weapons. 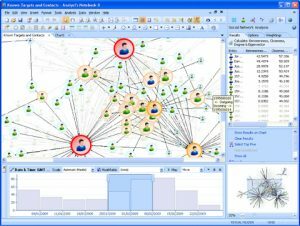 Nation-states and their agencies no longer control the raw materials of intelligence by monopolizing capital-intensive signals intelligence (SIGINT) and imagery intelligence (IMINT) collection platforms or dissemination systems. Anyone can now access huge amounts of potentially informative data. The barrier to entry for analytic tools has drastically declined as well. An organization that can develop analytic tools to exploit the explosion of data could rival the impact that British and U.S. experts in Operations Analysis achieved during the Second World War by improving Anti-Submarine Warfare (ASW) efforts in the Battle of the Atlantic. 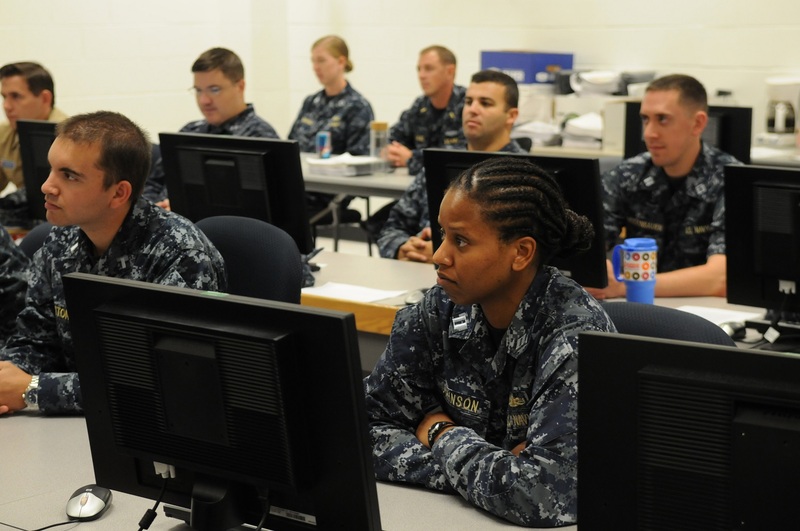 The navy that can successfully exploit the data environment and make it relevant to operations afloat will be better positioned to formulate responses to challenges fielded by potential adversaries often characterized by the now discouraged term “Anti-Access/Area-Denial (A2AD).” With the barrier to entry for advanced analytics and use of statistical techniques so low, it would be criminal to not apply cutting edge methods to the various analytic problems faced by intelligence professionals. For a variety of historical and technical reasons, all-source intelligence fusion for the U.S. Navy has generally taken place at the “force” or “operational” levels; typically by an afloat Carrier Strike Group (CSG), Amphibious Ready Group (ARG), or numbered Fleet staff, rather than with the forward-most tactical units. Since at least the Second World War, the U.S. Navy has emphasized the importance of deploying intelligence staff with operational commanders to ensure that intelligence meets that commander’s requirements, rather than relying on higher echelon or national-level intelligence activities to be responsive to operational or tactical requirements. 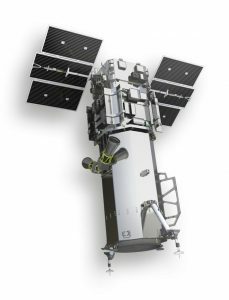 Since the Cold War, technological limitations such as the large amounts of bandwidth required for satellite transmission of raw imagery had limited the dissemination of “national” intelligence to large force-level platforms and their counterparts ashore. The need to exploit organic intelligence collected by an embarked carrier air wing, coupled with the technological requirements for bandwidth and analytic computing power, made the carrier the obvious location to fuse nationally-collected and tactical intelligence into a form usable by the Carrier Strike Group and the focal point for deployed operational intelligence afloat. 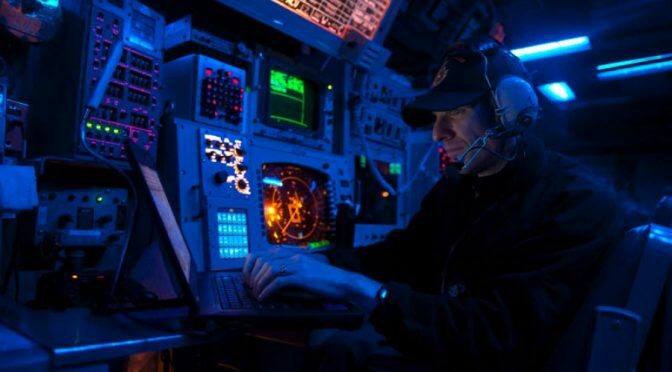 With computing power no longer an obstacle, however, only manpower and the ability to wirelessly disseminate information prevents small surface combatants, submarines, aircraft, and expeditionary units from using all-source analysis tailored to their tactical commander’s needs. The Intelligence Carry-on Program (ICOP) provides one solution by equipping Independent Duty Intelligence Specialists onboard surface combatants like Aegis cruisers and destroyers (CG/DDGs) with intelligence tools approaching the capability of those available to their colleagues on the big decks. The next step for Naval Intelligence in taking advantage of these new technologies is to determine whether it is best to train non-intelligence personnel already aboard tactical units to better perform intelligence tasks, or deploy more intelligence analysts to the tactical edge of the fleet. Additionally, Naval Intelligence must advocate for systems to ensure that vital information and intelligence can actually get to the fleet via communications paths that enable the transmission of nationally-derived products in the most austere of communications environments. Five of the six steps of the “Kill Chain” or “Dynamic Targeting” process of Find, Fix, Track, Target, Engage, and Assess (F2T2EA) involve intelligence. These include tasks such as detecting and characterizing emerging targets (Find), identifying potential targets in time and space (Fix), observing and monitoring the target (Track), the decision to engage the target (Target), and assessment of the action against the target (Assess). Decentralized operations require the ability to apply more or all steps of the Kill Chain at the tactical edge meaning forward units need an organic intelligence capability. Enabling tactical units to perform intelligence tasks essential to the Kill Chain at the tactical edge through trained manpower and better intelligence tools could greatly enhance the ability of afloat forces to operate in a what are sometimes described as Disrupted, Disconnected, Intermittent, and Limited bandwidth environments (D-DIL). Potential adversaries have developed a wide variety of capabilities in the information domain that would deny the U.S. military free access to wireless communications and information technology in order to “challenge and threaten the ability of U.S. and allied forces both to get to the fight and to fight effectively once there.” In a possible future war at sea where deployed combatants cannot rely on the ability to securely receive finished national- or theater-level intelligence, the ability to empower tactical-level intelligence analysts is a war-winning capability. 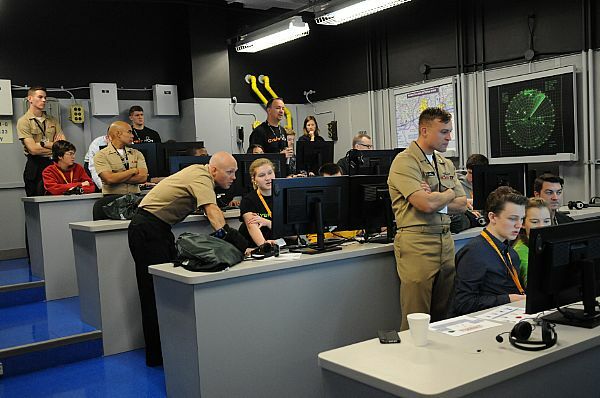 One of the Design’s four lines of effort is to “Achieve High Velocity Learning at Every Level” by applying “the best concepts, techniques, and technologies to accelerate learning as individuals, teams, and organization.” It also calls for a Navy that can “understand the lessons of history so as not to relearn them.” The irony here is that Naval Intelligence continues to ignore one of its most successful education efforts in history: the interwar program that detailed dozens of officers to study Japanese language and culture in Japan (with others studying Chinese and Russian in China and Eastern Europe) during the inter-war years. Emphasizing the importance of language training and regional expertise would seem obvious goals for Naval Intelligence in light of the Information Dominance Strategy’s call for “penetrating knowledge” and deep understanding of potential adversaries. The direct result of sending men like Joe Rochefort and Eddie Layton to Japan to immerse themselves in that society was victory in the Central Pacific at Midway in June 1942. While there are language training programs available to the U.S. Navy officer corps as a whole (such as the Olmsted Scholar program), they are not designed to provide relevant language or expertise of particular countries or regions for intelligence purposes. 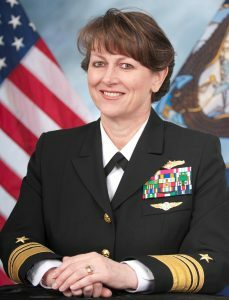 If Olmsted is the way which Navy Intelligence plans to bring deep language and regional expertise into the officer corps, it has done a poor job in terms of ensuring Intelligence Officers are competitive candidates as the annual NAVADMIN messages indicate that only eight have been accepted into the program since 2008. There has been much debate in recent years, particularly heated in the various, military blogs, over the relative importance of engineering degrees versus liberal arts for U.S. Navy officers. What has been left out of that debate is the obvious benefit associated with non-technical education in foreign languages. A deep understanding of foreign languages and cultures is not just relevant to Naval Intelligence in a strictly SIGINT role. Having intelligence professionals fluent in the language of potential adversaries (and allies) allows deep understanding of foreign military doctrine and the cultural framework in which a foreign military operates. Foreign language expertise for a naval officer is not a new concept. In the late nineteenth century prospective Royal Navy officers had to prove they could read and write French in order to achieve appointment as a cadet, and officers were encouraged to learn foreign languages. Interestingly, the U.S. Naval Academy does not require midshipmen majoring in in Engineering, Mathematics, or Science to take foreign language courses. Naval Intelligence is vitally relevant to the U.S. Navy’s afloat operations, but can be significantly improved by taking advantage of the current technological revolutions in data and data exploitation. While the Design uses new terminology and does not address intelligence’s role specifically, the core missions and tasks of Naval Intelligence remain the same as they were in 1882 when Lieutenant Theodorus Mason started work at the newly established Office of Naval Intelligence (ONI). 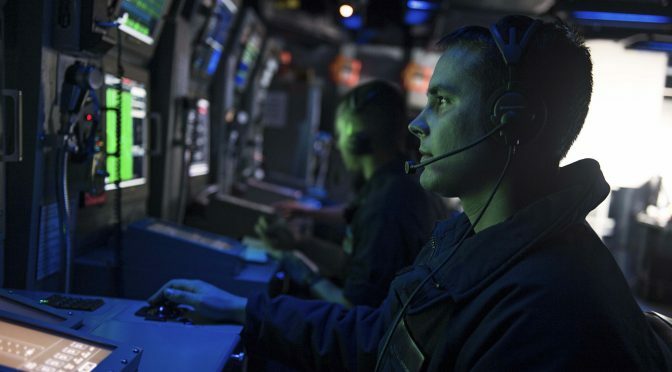 Maritime experts can provide the decisive edge in combat operations through more advanced and sophisticated tools, by pushing intelligence expertise to the tactical edge to advise front-line commanders and mitigate new high-end threats, and by applying more detailed knowledge of the languages and cultures of potential adversaries in the most challenging environments. Lieutenant Commander Mark Munson is a naval intelligence officer assigned to United States Africa Command. The views expressed are solely those of the author and do not reflect the official viewpoints or policies of the Department of Defense or the U.S. Government.